Israeli soldiers invaded, on Wednesday at dawn, Nabi Saleh village, near the central West Bank city of Ramallah, and kidnapped four Palestinians, after storming and ransacking their homes. Local sources said the soldiers violently searched several homes, and interrogated many Palestinians before kidnapping four. The four have been identified as Eyad Abdul-Karim Tamimi, 49, ‘Odai Abdul-Hafith Tamimi, 24, Baha’ Jalal Tamimi, 24, and Aseed Ahmad Tamim, 20 years of age. The invasion led to clashes between the soldiers and local youth; the army fired gas bombs and concussion grenades, no injuries were reported. Nabi Saleh is one of the leading villages in nonviolent resistance activities against the Israeli Annexation Wall and Israel’s illegal colonies, built on villagers’ lands and isolating them from their orchards. Also on Wednesday, soldiers demolished a number of structures, including barns, in Ziba and Barta’a ash-Sharqiyya villages, west of Jenin. 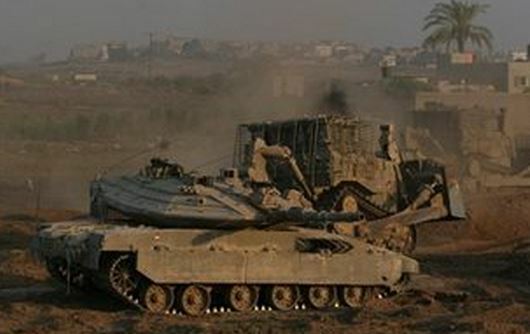 Several armored Israeli military vehicles and bulldozers carried out, on Wednesday morning, a limited invasion into an area east of the al-Maghazi refugee camp, in central Gaza, and bulldozed farmlands. 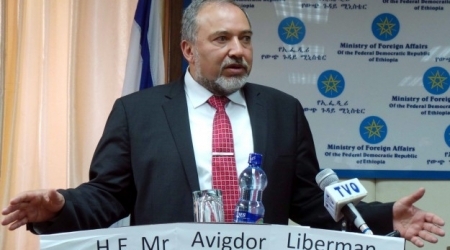 Eyewitnesses said the vehicles, accompanied by four armored D9 bulldozers, stationed in the Kissufim military base across the border fence, advanced into the area while firing rounds of live ammunition at a number of homes, causing damage but no injuries. They added that the army bulldozed and uprooted Palestinian lands, and fired rounds of live ammunition at local farmers, forcing them to leave. The invasion is part of daily Israeli violations against the Palestinians in the besieged and impoverished coastal region. Such attacks, include uprooting farmlands, and repeated assaults on fishers in Gaza waters and even while on shore. Last Saturday, Israeli navy gunships opened fire on Palestinian fishing boats killing Tawfiq Abu Ryala, 34, and kidnapped two others. The Israeli occupation forces (IOF) on Tuesday rounded up a Palestinian girl, enrolled at the Birzeit university, near Beitouna town, in the West Bank city of Ramallah. Eyewitnesses said violent clashes flared up between the IOF and dozens of Birzeit university students who partook in a peaceful rally commemorating the death of their fellow student Saji Darwish. Dozens of rally-goers reportedly choked on tear gas in the process. The attack culminated in the apprehension of the Palestinian female student Bayan Safi by the IOF troops, who dragged the girl to the Ofer military camp. Meanwhile, a number of injuries and suffocation cases was documented among Palestinian youths in Jerusalem’s town of Kafr Akab. Bystanders at the scene said the IOF troops targeted the Palestinian unarmed protesters with randomly-shot volleys of tear gas and live ammunition. Local medics at the Palestine medical complex in Ramallah said nine injured civilians, six among whom shot with live ammunition in their lower limbs, were received at the hospital. In a related development, Jerusalemite sources said the Israeli occupation police kidnapped a 15-year-old Palestinian child on allegations of hurling stones at settler vehicles in Ras al-Amoud neighborhood, in Occupied Jerusalem. A number of Israeli extremists attacked, Tuesday, a Palestinian worker in Tel Aviv, causing various injuries that required hospitalization. The worker has been identified as Mousa Hasan Shawahin, 44, years of age, from Yatta town, south of the southern West Bank city of Hebron. His cousin, Mohammad, said a number of Israelis attacked him while working in Tel Aviv, causing various cuts and bruises to different parts of his body, before he was moved to an Israeli hospital for treatment. Mohammad called on different media, human rights and legal organizations, in Palestine and abroad, to expose the ongoing Israeli violations against the Palestinians, to seriously act on ending them, and to provide protection to the people, living under occupation. Seven Palestinian students were injured by rubber-coated steel bullets, Tuesday, as clashes broke out near Ofer detention center in Ramallah, witnesses said. Several Palestinians were injured in clashes which took place in Kafr Aqab, while in al-Issawyia, occupied East Jerusalem, a number of lands were leveled by Israeli forces. 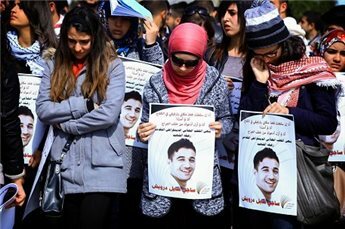 Students from Birzeit University had gathered to mark the anniversary of the death of 18-year-old Saji Darwish, who was killed by Israeli forces last year. Soldiers fired tear gas canisters and rubber bullets at the peaceful march, according to Ma'an. 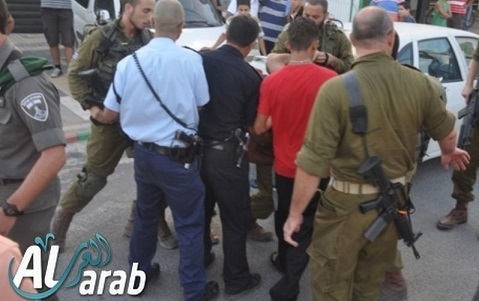 One student, Bayan Safi, was assaulted before being detained and interrogated at Ofer jail. Two Israeli soldiers were hit with rocks during the clashes, one in the face and one in the leg. Soldiers shot and killed 18-year-old Saji Darwish near the illegal settlement outpost of Givat Assaf last March, after he allegedly threw stones at vehicles belonging to Israeli settlers in the area. Darwish is the 26th youth to be killed by Israeli forces while a student at Birzeit, according to the Birzeit University Public Relations Office. Thousands of students attended a memorial service in the center of campus for the slain youth last year. Meanwhile, clashes with Israeli forces left dozens of Palestinians injured in Kafr Aqab, northern Jerusalem, on Tuesday, according to medics. The Palestinian Red Crescent reported that nine demonstrators suffered injuries from live fire to their lower extremities, and one was left in critical condition. Activists told Ma'an News Agency that dozens more sustained light-to-moderate injuries from rubber-coated steel bullets, and many suffered the effects of tear-gas inhalation. The clashes broke out after Israeli bulldozers leveled land in the Qalandiya airport area, close to Kafr Aqab. Israel has declared the area a closed military zone. Sources said that the land was being leveled to continue the building of the separation wall, which already effectively separates the districts of Samir Amis and Kafr Aqab from Jerusalem. Witnesses said that the ongoing clashes broke out sporadically throughout the day. On Monday, Israeli forces delivered demolition notices to buildings in the Qalandiya airport area near the wall. Kafr Aqab was annexed by Israel along with the rest of East Jerusalem in 1980 and falls under its full jurisdiction. However, it has been cut off from the city since the construction of the wall. In the East Jerusalem town of al-Issawiya, on Tuesday morning, large numbers of Israeli troops and municipality inspectors escorting bulldozers and excavators came into the southeastern outskirts of the town, where they demolished stone walls and steel structures used by local farmers as store houses and livestock barns. Local follow-up committee member Muhammad Abu al-Hummus said the bulldozers deliberately ruined the dirt roads used by farmers to access their fields. The land is located in an area Israeli authorities have earmarked for a national park, in a controversial plan known as "11092", which aims to turn 700 dunums of land in the Palestinian towns of al-Issawiya and al-Tur into Israeli parkland. A statement from the Palestinian Center for Human Rights, in 2013, previously stated that "the plan is part of the Israeli government's plans to create a Jewish demographic majority in the occupied city." In September 2014, an Israeli planning council suspended the plan until the needs of the Arab towns could be assessed. However, the council, which previously approved the annexation of the 700 dunums, said that approval of the plan could be justified and was not fundamentally illegal. According to Abu al-Hummus, the local Israeli municipality has ignored the plan's suspension. "Israeli forces brush aside court decisions and decisions made by different committees when it comes to implementing settlement expansion plans," he said. The land leveled on Tuesday is owned by the Abu Asab, Ubeid, Dari, Abu al-Hummus and Ulayyan among others. There are now believed to be more than 300,000 Jewish settlers in East Jerusalem. The international community views East Jerusalem as part of the Palestinian territories and recognizes the annexation and settlement programs as illegal under international law. Injuries reported during clashes in J’lem, W.B. 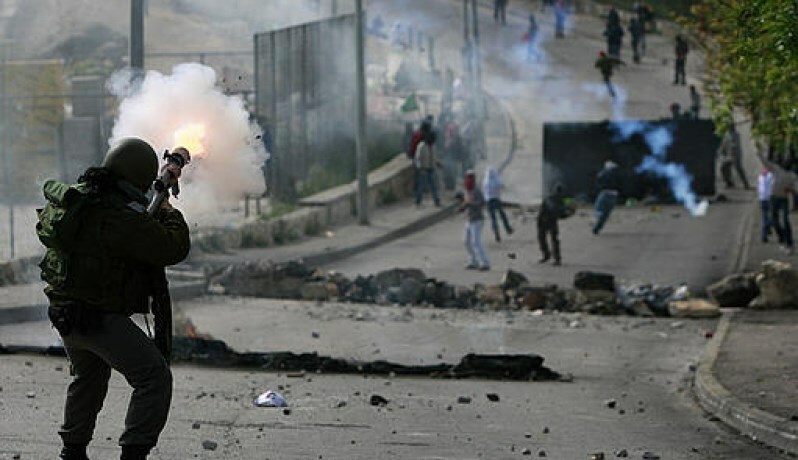 At least five Palestinians suffered live bullet injuries during clashes that broke out Tuesday morning between Israeli Occupation Forces (IOF) and local youths in Kafr Akeb neighborhood in occupied Jerusalem. 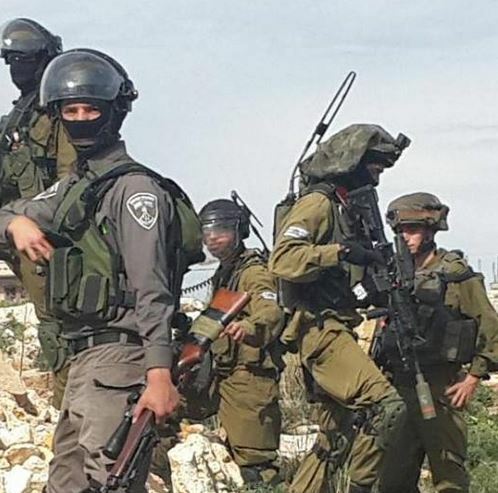 Eyewitnesses said that IOF stormed Kafr Akeb neighborhood and carried out a raid and search campaign which led to the outbreak of violent clashes. Heavy tear gas bombs and live bullets were fired during the clashes, while the local youths responded by throwing stones and empty bottles. Five young men were transferred to hospital after being shot by Israeli forces with live ammunition in their legs. 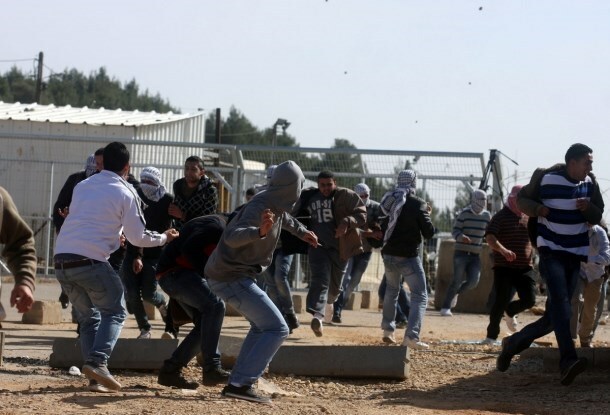 Similar clashes erupted since the morning hours in Qalandia refugee camp near Ramallah. Live bullets and tear gas bombs were intensively fired. No injuries were reported during the clashes. Meanwhile, a number of people suffered tear gas suffocation during violent confrontation that erupted in southern al-Khalil for the second consecutive day. Local sources told the PIC reporter that the clashes broke out when IOF soldiers heavily fired tear gas and sound bombs towards local schools near the Ibrahimi mosque. Breathing problems were reported among the school students and teachers after inhaling tear gas fired by the soldiers who were heavily deployed in the area. Along the same line, a Palestinian vehicle carrying teachers was stopped and confiscated near Yatta town to the south of the city. The teachers were searched and assaulted before being released. The teachers were on their way to Musafer School which is threatened with confiscation in favor of settlement expansion. On the other hand, IOF handed confiscation notifications to Palestinian residents in the Old City of al-Khalil. In Jenin, IOF soldiers stormed overnight Burqin town and opened heavy fire at local homes. The PIC reporter quoted local sources as saying that Israeli military vehicles stormed the town and erected a make-shift checkpoint before deploying in its neighborhoods and streets. 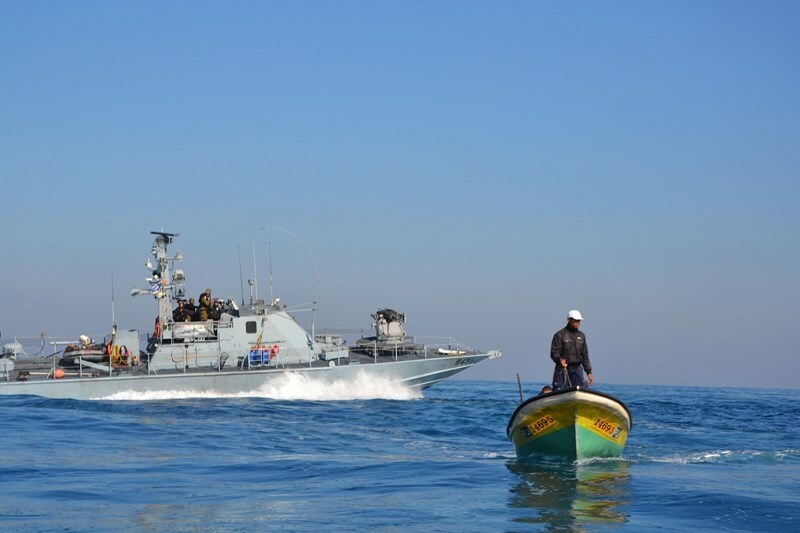 Israeli occupation gunboats opened machinegun fire on Palestinian fishing boats in Beit Lahiya waters, north of the blockaded Gaza Strip, on Monday night in a renewed violation of the ceasefire agreement. Media sources said the machinegun fire was randomly unleashed by the Israeli gunboats on Palestinians’ fishing vessels. No injuries have yet been reported. Israeli Occupation Forces (IOF) opened machinegun fire at farmers to the east of Deir al-Balah in central Gaza Strip on Monday morning. The PIC reporter quoted eyewitnesses as saying the IOF soldiers stationed in the military towers near the eastern borderline fired machineguns at Palestinian farmers who were working in their lands. 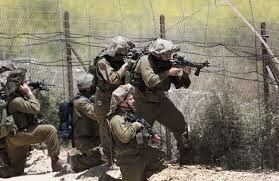 The shooting occurred near the separation borderline to the east of Deir al-Balah in central Gaza. He pointed out that the farmers had to leave their lands in order to avoid IOF shooting. No casualties have been reported so far. The Israeli forces continuously target farmers to the east of Gaza and fishermen off Gaza coast within a systematic policy to cut off the Gazans’ only source of living in both regions. 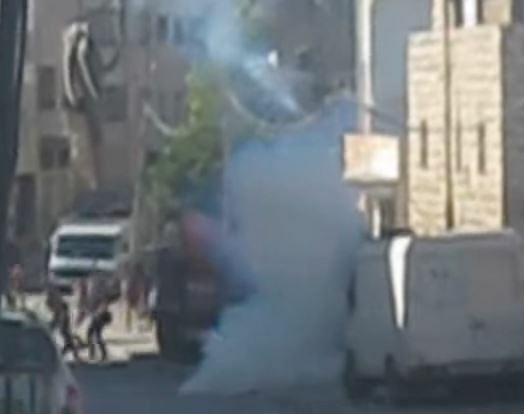 Palestinian medical sources in Hebron, in the southern part of the occupied West Bank, has reported that scores of residents, including children, suffered on Monday morning the effects of teargas inhalation, as Israeli soldiers conducted military training near local schools. The sources said the soldiers fired a large number of gas bombs near the Abu Reesh roadblock, and the elementary schools of Tareq Ben Ziad and Rabe’a, in the Old City, while concocting training and maneuvers. Eyewitnesses said dozens of soldiers stormed the area, while firing gas bombs and concussion grenades at random, causing scores to suffer the effects of teargas inhalation; local medics rushed to the scene and provided the wounded with the needed medical treatment. In addition, dozens of soldiers and settlers were deployed in various areas in Hebron, including the Islamic Graveyard area, Ta’lat at-Takrouri and al-Karantina areas, and conducted training using gas bombs and concussion grenades. Many children suffered panic attacks due to the loud sounds of the soldiers, and their gas bombs. A number of school children on Monday morning choked on tear gas grenades randomly unleashed by the Israeli occupation forces (IOF) in the environs of the Ibrahimi Mosque, in the southern West Bank city of al-Khalil. Eye-witnesses said the IOF troops targeted the school children with heavy volleys of tear gas canisters near the Ibrahimi Mosque under the pretext of carrying out military drills. Meanwhile, an arbitrary mass-abduction campaign, targeting Palestinian ex-prisoners, was launched by the IOF in al-Khalil and its adjacent areas. Locals said the IOF stormed Ras al-Joura, in al-Khalil, and scoured Palestinians’ family homes shortly before they kidnapped the Palestinian youngster Qassam Qufeisha and another unidentified citizen. The IOF further apprehended engineer Fouad al-Shamasti moments after they stormed his office and seized his personal laptop. A number of Palestinian ex-prisoners have been rounded up in the process. A series of makeshift roadblocks has also been pitched near al-Khalil city by the IOF troops. The latter reportedly scoured al-Khalil’s towns of Yatta, al-Samou’, Halhoul, and Sai’r and scoured the towns' main streets via a flock of army jeeps. Earlier, overnight Sunday, the IOF troops raided Erka town, west of Jenin city, via army jeeps and interrogated a number of Palestinian citizens. Locals said the IOF broke into the house of Mousa Mohamed Salim and summoned him for interrogation. On Sunday morning, the IOF reportedly stormed the house of martyr Amer Abu Eisha in al-Khalil and interrogated his father on the spot. In another raid, two Palestinian youngsters from al-Khalil’s town of Dura were apprehended.